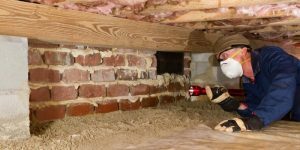 A Crash Course in Alabama Termites - Pest Control Alabama | Bama Exterminating Co.
Termites cause millions of dollars of damage across the United States every year, destroying the spaces families call home from the inside out. You might think you know enough about these destructive critters, but just how well do you really know termites in Alabama? Knowledge is power! Read on to learn more and arm yourself against these hungry, destructive insects, so you can be ready to fight back if they decide to strike. What Kind of Termites Live in Alabama? Unfortunately for Alabama homeowners, we’re located right smack in the middle of termite territory. In fact, Alabama is listed in Termite Infestation Probability Zone 1, which means that the probability for termite infestation and damage in homes is significant. 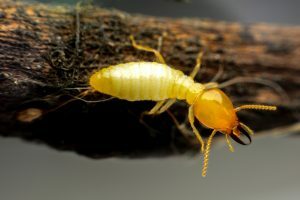 Alabama is home to two of the most common termite types: drywood and subterranean. While they may be small, these destructive pests swarm together in large groups, eating 24/7 and quickly destroying the wooden structures that make up your home. In Alabama, it’s most important to keep an eye out for termite activity during the warm spring and summer months, as well as after rainfall. However, termites can be a year-round threat to your home, making timely and effective termite extermination all the more important. If you notice any of these signs, contact the experts at Bama Exterminating immediately to prevent costly damage to your home. Suspect Termites? Let Us Help! Termites aren’t just icky–they are incredibly destructive pests that can cause thousands of dollars of damage to your home if left unchecked. If you suspect there might be termites in your home, you should enlist the help of Bama Exterminating Co. as soon as possible instead of trying to manage the situation yourself. DIY methods aren’t the most effective, and you risk causing more damage than good. When it comes to termites, time is money! Whether you’d like to take a preventative approach or suspect you already have termites, the experts at Bama Exterminating can help. We utilize the best termite treatment methods in the industry and can keep your home and family safe from the effects of termite damage. Contact us today for a termite inspection and a free quote! Don't you want to protect your home?Learn More Today!